This is a poster which I’ve designed for the aptitude test. As a task I have got just the word freedom and I was free to design in any form or style that I could think of. That could be a painting, Sculpture or a short movie and etc. But I chose to design a poster and illustrate freedom from my point of view which was not easy at all. So I’ve listened to some music with similar themes and the song break on through by the doors gave me the perfect idea. 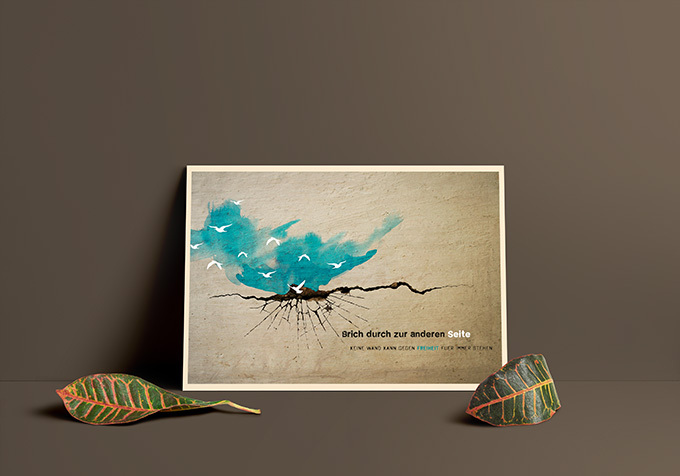 The massage of the poster is in german and means: Break on through the other side. No wall can stand against the freedom forever.